Tuberculosis (TB) remains as a public health problem in Nepal, as it is responsible for ill health among thousands of people each year. TB also ranks as the sixth leading cause of death in the country. During this reporting year, NTP registered 34,121 TB cases. Among them 15,655 (46%) were new smear positive TB cases, 2,202 (6%) were smear positive retreatment cases, 6,686 (20%) were sputum smear negative and 8,966 (26%) were extra‐pulmonary TB cases. Out of total registered cases in NTP, there were 12,300 (36%) female and 21,821 (64%) male. 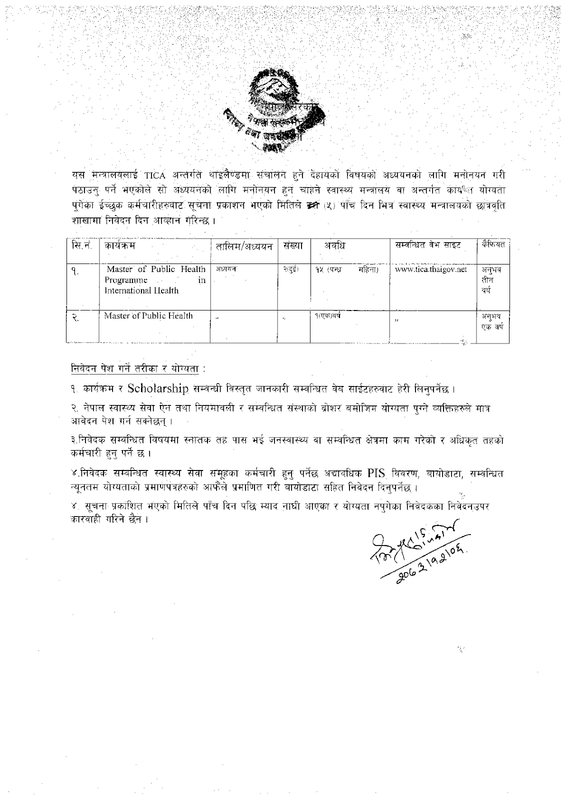 According to the latest WHO data published in May 2014, tuberculosis deaths in Nepal reached 5,506. This is 3.5% of total deaths. The age adjusted death rate is 27.80 per 100,000 of population. This ranks Nepal as 43 in the world. World TB Day, falling on March 24th each year, is designed to build public awareness that tuberculosis today remains an epidemic in much of the world, causing the deaths of nearly one-and-a-half million people each year, mostly in developing countries. It commemorates the day in 1882 when Dr Robert Koch astounded the scientific community by announcing that he had discovered the cause of tuberculosis, the TB bacillus. At the time of Koch's announcement in Berlin, TB was raging through Europe and the Americas, causing the death of one out of every seven people. Koch's discovery opened the way towards diagnosing and curing TB. This year, we commemorate the 135th anniversary of Dr Robert Koch’s announcement in 1882 of his discovery of the TB bacillus, the cause of tuberculosis. His groundbreaking research opened the way toward diagnosing and curing this disease. Opportunity!! 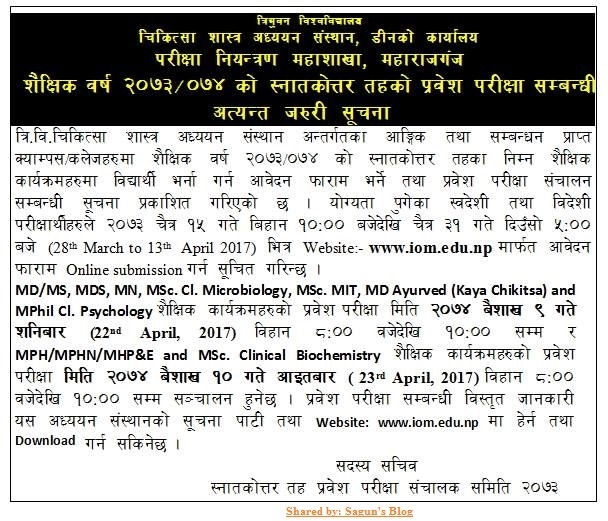 AuthorAID Grant Proposal Writing & Research Writing Course (18th April 2017) Following the success of the third AuthorAID MOOC (massive open online course), AuthorAID are pleased to announce our upcoming online course in grant proposal writing and research writing. 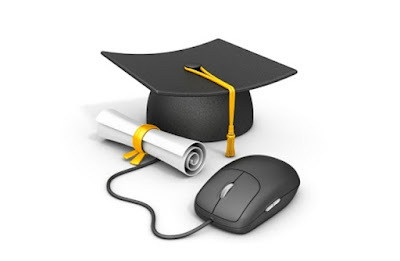 This is an open online course and it is free of cost. Who the course is for: Early career researchers in developing countries. World Water Day 2017 : Why waste water? 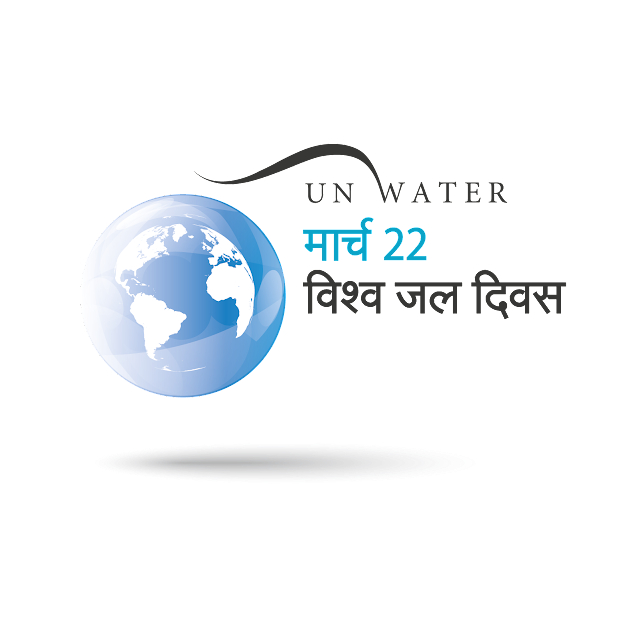 World Water Day, on 22 March every year, is about taking action to tackle the water crisis. Today, there are over 663 million people living without a safe water supply close to home, spending countless hours queuing or trekking to distant sources, and coping with the health impacts of using contaminated water. This year's theme: Why waste water? in support of SDG 6.3 on improving water quality and reducing, treating and reusing wastewater. Globally, the vast majority of all the wastewater from our homes, cities, industry and agriculture flows back to nature without being treated or reused – polluting drinking and bathing and irrigation and losing valuable nutrients and other recoverable materials. 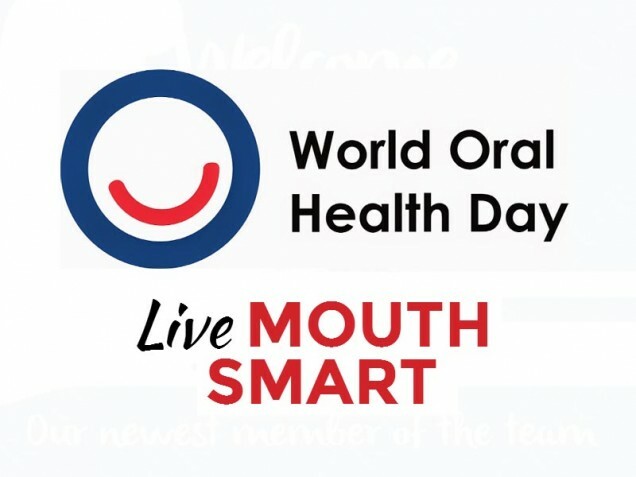 World Oral Health Day (WOHD) is commemorated annually on 20 March in order to support the improvement of oral health world wide. WOHD focused to highlight the importance of oral health for a healthy body. The aim is to provide an occasion for global, regional and national activities related to oral health. World Oral Health Day was launched in 2013 to raise awareness of the importance of good oral health and its significance in safeguarding general health and well-being. This is done through an international awareness campaign created and launched by FDI World Dental Federation, adapted and promoted locally by national dental associations in over 140 countries worldwide. 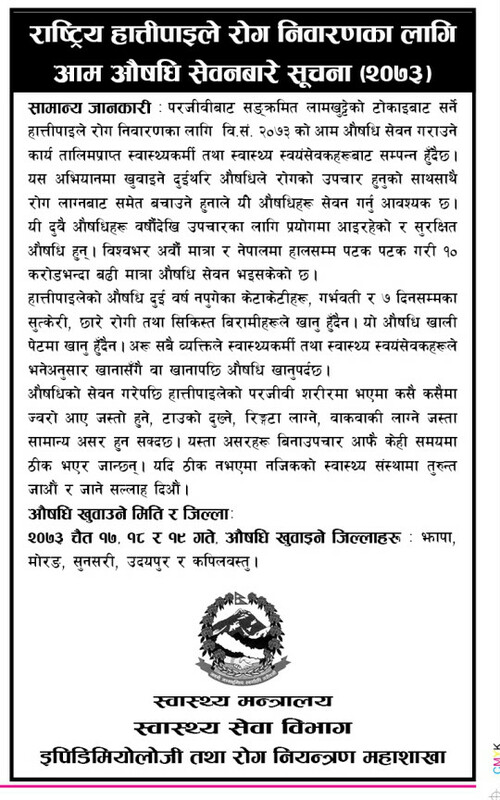 Lymphatic Filariasis (LF) is a public health problem in Nepal. 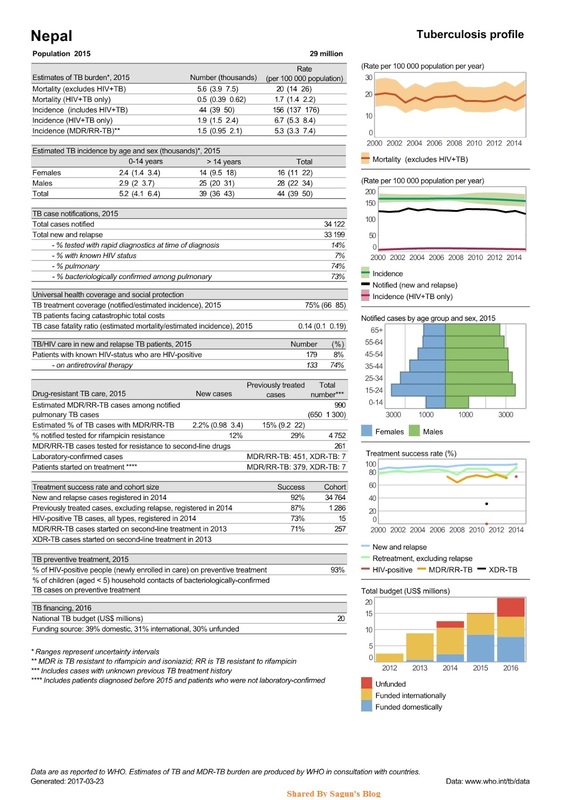 Nepal conducted LF mapping in 2001 and 2005 and remapping in 2012 by using ICT (Immunochromatography Test card) which revealed 13% average prevalence of LF infection in the country, ranging from <1% to 39%. Based on the ICT survey, morbidity reporting and geo‐ecological comparability sixty one districts of the country were mapped as endemic for LF.